Gorgeous Home Ready To Move In!!! Great Location In The Cove Ii, Savanna, Beautiful Backyard With Royal Palms And Fruit Trees,private Pool And Barbecue With Expansive Lake Views...one Story, Split Floor Plan, Wood Floors, Open Kitchen, Quartz Counters, 2 Car Garage, Everything Is New! Seller Motivated, Please Bring Your Client To See This Perfect Home! Amazing Luxurious Home In Prestigious Weston Hills Country Club Poinciana With Magnificent Golf Course And Lake View. Oversized Lot With Over 22,000 Sf. Home Has All Travertine Marble Flooring Throughout And Has Near 4,000 Sf As Living Space And 5,087 Sf Total Area. 4 Bedrooms Plus2 Offices, Custom Closets In All Bedrooms, 3 Full Baths, 2 Half Baths, Hurricane Accordion Shutters Plus Panel Shutters For 1 Window And Doors, Gourmet Kitchen. 3 Car Garage, Laundry Room And Storage Room. Pavers On Circular Driveway. One A/c (1 Year), Electric Blinds In Family, Living, Master And Office, Electric Awnings, Security Cameras, Pool Equipment (2 Years), Sound System By Areas. Dinnings Chandelier Will Be Removed. Lovely Single Family Home (floor Plan) At The Islands At Weston, Built In 1997. The House Has A Pool And Tranquil View To Canal, 5 Bedrooms And 4 Bathrooms, Open Kitchen With Dining Area And Family Room. The Master Bedroom Has The Lake View With Wood Floor, 2 Walking Closet, And A Very Comfortable Bathroom. Very Nice Pool Area, With Screening Patio. Gate Community, Low Association, Walking Distance To Town Center, A+ Schools And Closing To Major Highways. Never Stop Looking!!!! Move in ready home situated in Westons beautiful gated neighborhood of Savanna. 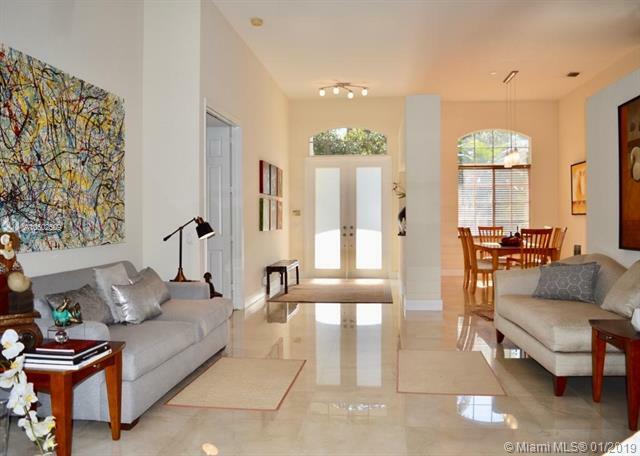 Open floor plan, with gorgeous marble floors, lots of natural light and water views. Some elegant finishes include crown molding and built in custom closets. Attractive open kitchen features stainless steel appliances and granite countertops. This oversized lot has potential for a new pool and patio expansion. Savannas Amenities include a soccer/baseball field, hockey rink, basketball court, mini golf course, kids park, party rooms, olympic lap pool, kids pool and slides. A+ schools: Manatee Bay, Falcon Cove, Cypress Bay. A MUST SEE! UNBELIEVABLE PRICE FOR THIS PROPERTY** BEST VALUE BY FAR IN SAVANNA!. EXTRA CLEAN CONDITION! GREAT TASTE AT ITS BEST! BEAUTIFUL HERON MODEL IN WESTON. THIS BEAUTIFUL HOME OFFERS OPEN FLOOR PLAN, 4 BEDROOM PLUS DEN/OFFICE ROOM EASILY CONVERTED TO FIFTH BEDROOM, GREAT SCHOOL DISTRICT. HEATED SCREENED WATER POOL AND LAKEVIEW FRONT ON AN OVERSIZED LOT, PRIVATE, MODERN OVERSIZED KITCHEN WITH GRANITE COUNTERTOP, BAR AREA, CORNER LOT. WONDERFUL LANDSCAPING. DRIVEWAY AND PATIO IS PAVERED, LAMINATE FLOOR IN BEDROOMS, TILE IN ALL LIVING AREAS, HUGE MASTER BEDROOM, ELEGANT PLANTATION SHUTTERS AS WINDOW TREATMENTS, HIGH CEILINGS, RECENTLY PAINTED. Enjoy privacy and gorgeous views from this corner lot Mediterranean style Villa at prestigious Windmill Ranches. This gem features 6 bedrooms 5. 1/2 baths tastefully renovated with marble flooring, home theater room, library, new lightning and window treatment. 3 brand new A/C units were installed Sept 2018. High ceilings, gourmet kitchen, fireplace, office, bar, guest room, basketball court, & custom 3 car garage are some of the main attributes of this masterpiece. Furniture up for negotiation. Great outside pool area for entertainment or simply to relax and enjoy gorgeous sunsets overlooking the lake. Definitely A MUST SEE! BEAUTIFUL, LAKEFRONT, 5/4 FAMILY HOME IN SAVANNA COMMUNITY IN WESTON. HOME FEATURES NEW KITCHEN AND APPLIANCES, NEW MASTER BATH, 2 UPDATED BATHS, MASTER SUITE, FORMAL LIVING AND DINING ROOMS, FAMILY ROOM, COVERED PATIO AND FENCED IN YARD ON LAKE, 3-CAR GARAGE AND UTILITY ROOM. SAVANNAH IS A ENCLAVE, GATED COMMUNITY WITH 5* AMENITIES INCLUDING RESORT-STYLE CLUBHOUSE, POOL AND SWIM CLUB, TENNIS, AND MORE. ENJOY PANORAMIC VIEWS OF THE LAKE, CLU DE SAC STREET, QUIET, PASTURAL SURROUNDINGS, MANICURE COMMON AREAS, AND MORE. Spectacular home completely remodeled with 6 bedrooms and 6 bathrooms, excellent lighting, brand new floors of italian porcelain, brand new kitchen with quartz tops and stainless steel appliances, stunning lake view, and a guesthouse. Located in the prestigious City of Weston. FABULOUS LAKEFRONT POOL HOME IN EMERALD ESTATES. OWNER HAS MAINTAINED IMPECCABLY! CARPET IN SECONDARY BEDROOMS, LAMINATED FLOORS IN MASTER, CORIAN COUNTERTOPS, CENTER WORK ISLAND, NEUTRAL TILE IN MAIN LIVING AREAS. TOP-OF-THE-LINE FRONT LOADER WASHER & DRYER. DONT MISS THIS OPPORTUNITY!!!! Very Modern and Elegant Two Story Home located in Savanna-The Cove II gated community. This spectacular 8 Bedrooms 5 1/2 Bathroom property is nestled on an over sized cul-de-sac lake front lot with an abundant landscaped yard and palm trees. The inside features a gourmet open kitchen, a formal dining room, a spacious TV room and marble floor throughout the first floor and a hard wood floor on the second floor. The outside features a heated pool and a Jacuzzi overlooking the Lake. This is the Perfect Home for a Family, in a wonderful Community and close to Weston A+ School. Light, bright and spacious one-story 4 bedroom, 2.5 bathroom lakefront home in cul-de-sac with oversized 10,223 Sq Ft. lot in highly sought after Ridges gated community in Weston. Ready for your personal touches, this split floor plan features eat-in kitchen with wood cabinets, granite counters, stainless steel appliances, tiled throughout, all with beautiful lakefront views. Perfect location with oversized lot on a cul-de-sac, offering plenty of privacy and room for pool, and entertaining. Back yard has paved area with retractable awning offering shade for entertaining guests. A+ schools & public library within walking distance. No HOA Approval for easy move-in. Amenities include guard gate, swimming pools, basketball courts, enclosed playground & bike/walk trails throughout neighborhood. Spectacular two story home on cul-de-sac in one of the most prestigious communities in Weston. Oversized private lot, overlooking lake with great sunrises and sunsets. Smart Home equipped. 2 New hot water tanks that use a heat pump to minimize electricity usage. Sprinkler system. Low electricity bill due to smart management. Oversized heat pump for pool and jacuzzi. Salt water pool. Ceramic tiling under all custom cabinetry in kitchen. Master bedroom and Family room has surround sound cabling running under the floor. Driveway with 3 car garage. Guard gated community with dual access to A+ schools which are easily accessible from rear residents gate, parks and shopping. Dont miss this gorgeous property. Breathtaking lakefront Pool Home in Sunset Springs. 4 bedrooms, 3 baths. beautiful views from each bedroom. Updated kitchen with wood cabinets and quartz counter, S/S appliances, high ceilings. laundry and garage for 2 cars and you can park up to 5 cars. Dont miss the opportunity to live this beautiful gated community with tennis courts, very low maintenance fee. Great school district, located close to highways, shopping, restaurants. Schedule a showing Today! The home is situated on an amazing lakefront lot , uninterrupted lakefront , perfect for year-round entertaining. Enjoy million dollar views,plenty of room to build your very own custom pool and entertainment area.Custom architectural design defines this exceptional home located in the sought-after Eagle Run neighborhood of Weston Hills Country Club. This 4BR, 3BA, plus Office home with its panoramic views of the water is in pristine condition. The 3-way split bedroom floor plan is family friendly. The open floor plan includes a formal living room and dining room, large family room, and well situated dinette area. The home has a New Roof and plenty of upgrades including Travertine Floors, Plantation Shutters, California Closets, and a Gourmet Chefs Kitchen. Weston offers A Rated Schools.